It’s almost Thanksgiving Day in Canada and what better way to complement your turkey dinner than with a dollop of ruby red cranberry sauce. Thanksgiving and Christmas dinner just wasn’t complete without that purple jelly on the table to go along with all the other tasty food being served. 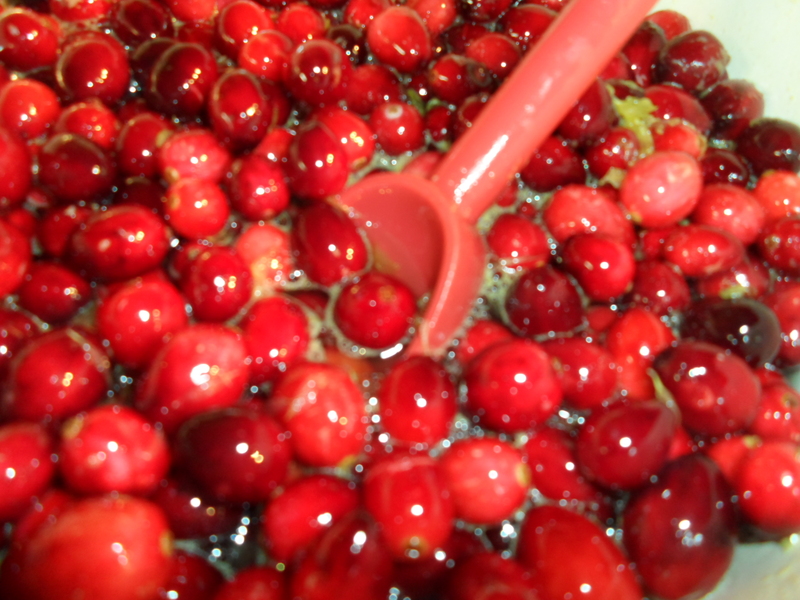 I have since discovered how incredibly easy it is to make your own cranberry sauce. Why hadn’t I made this earlier? Why? Because some traditions are very hard to let go of. Truth be told, when you’re making a huge meal for 20+ people cutting a corner here and there helps with the prep time and getting everyone fed. We didn’t really care for the chunky texture of the other cranberry variety that the same brand offered either. If the chunky version had been purchased by mistake and put on the table, it pretty much remained untouched even if it was served in a pretty crystal serving bowl. However, now I’ve been making my own cranberry sauce and I can’t believe how much flavour there is in the fresh version. As most of you know, cranberries are very very tart so, depending on your palate, you can sweeten them as much as you like. I prefer a more tart version and like to add orange zest and Cointreau as well. You can make this sauce a few days in advance and it will keep in your refrigerator for 7-10 days and up to a month or so if you freeze it. I hope you enjoy my version. 1. 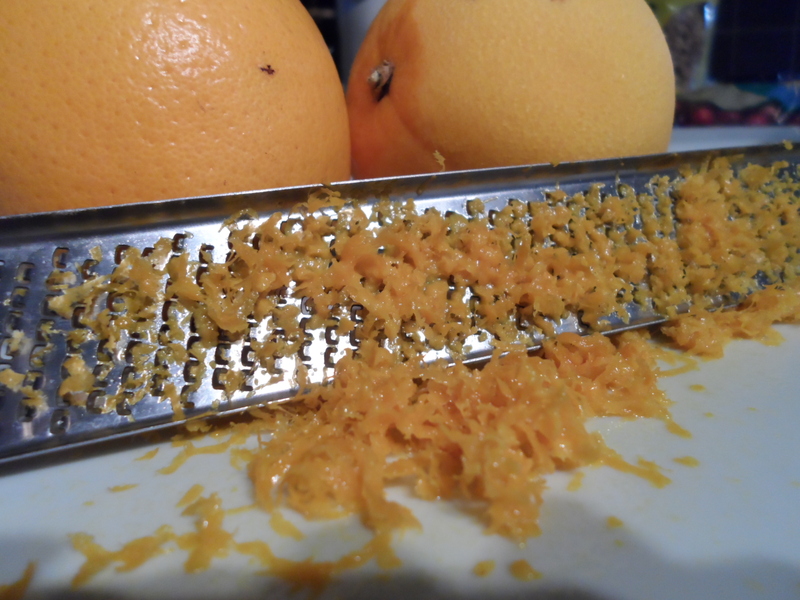 Remove zest from oranges. Squeeze juice from oranges. 2. 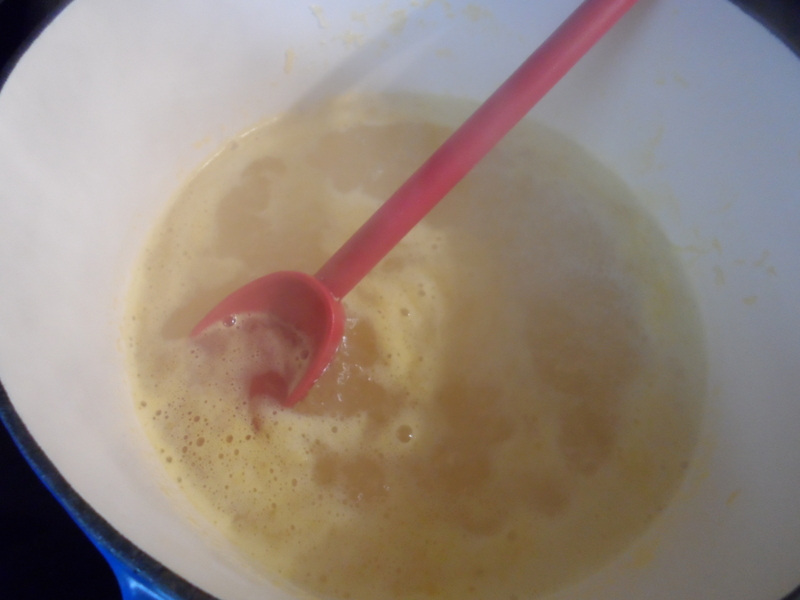 Put water, sugar and orange juice in a pot on the stove and bring to a boil. You’ll want a pot large enough that it will only be half full when you add the cranberries. 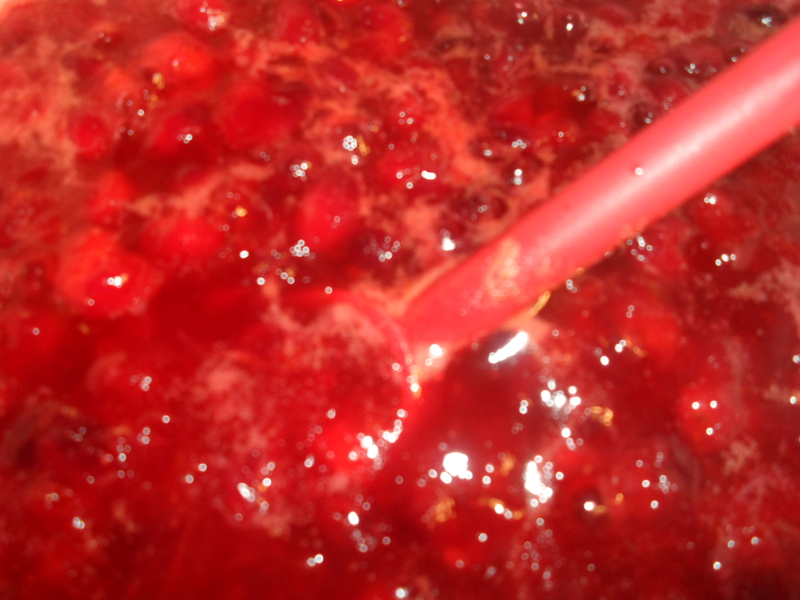 The cranberries will pop as they cook so you will want to contain the splatter as much as possible. 2. 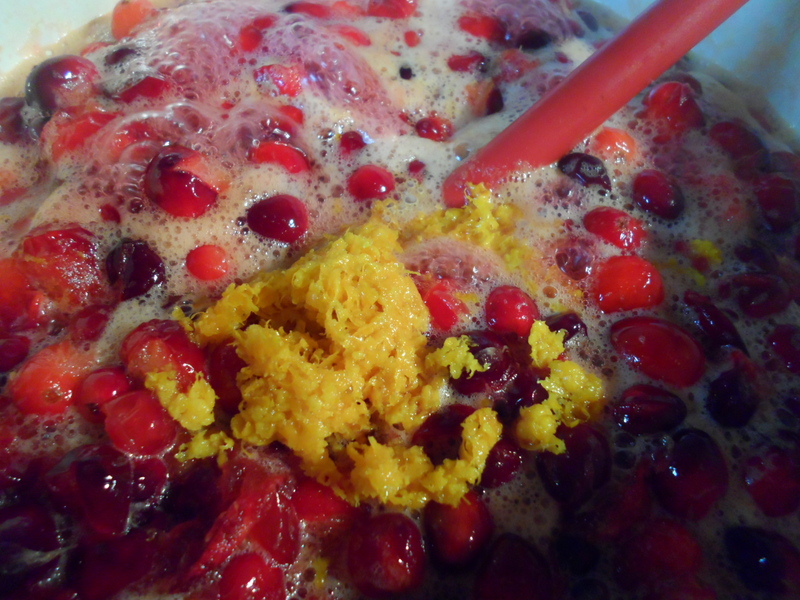 Add cranberries, orange zest and Cointreau. 3. Bring to a boil then reduce to a simmer. 4. Simmer for 15-20 minutes stirring frequently. 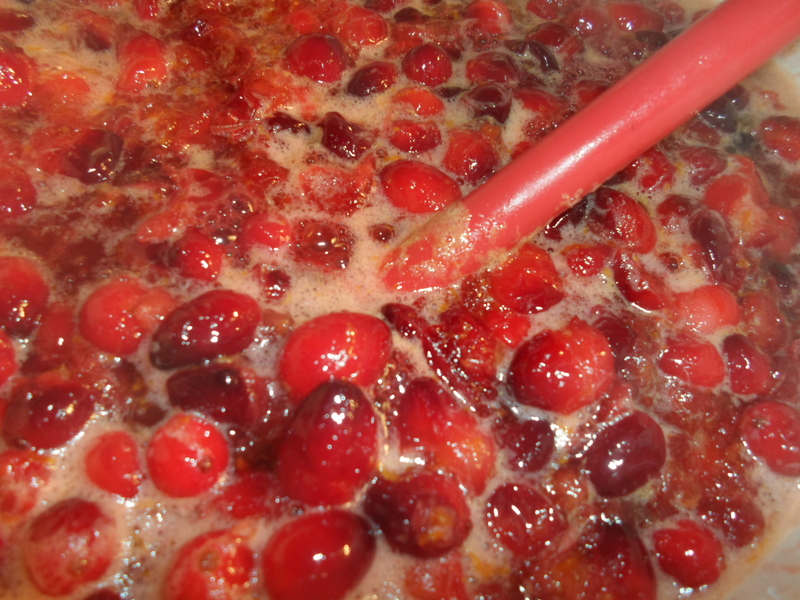 As the berries cook, they will pop and break down and turn into a thick red luscious sauce. I like to help them along by popping the berries with the back of my stirring spoon. Be careful not to get splattered though. The sauce is sticky and can burn if it lands on your skin. If the sauce seems too watery after 20 minutes, gently simmer until the liquid has reduced more but watch that it doesn’t scorch on the bottom of the pot. 5. Let cool and put in airtight container and place in refrigerator until ready to serve. Makes just over 1 litre (5 cups) of sauce. Why not serve this sauce with some of your other favorite dishes. Maybe add some hot peppers to it, or give it an Asian flavour? 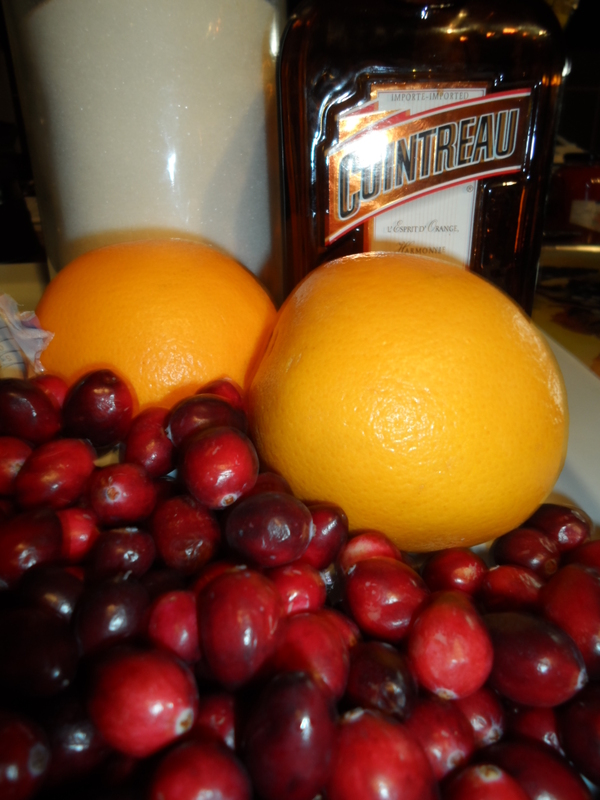 Posted in Christmas, Holiday Celebrations, recipes, sauces, side dishes, ThanksgivingTagged Cointreau, cranberry, food, holidays, jelly, orange, recipes, sauce, side dishesBookmark the permalink. I plan on testing a batch with hot peppers to give it some heat. I think it would be great spread on top of a wheel of warmed Camembert. Yumm! !